Mixed Martial Arts Kicks - KO Videos | MMA Fighting Events Videos Techniques UFC Fight Picks and News. This Mixed Martial Arts fight video shows Marcus "Lelo" Aurelio ( Professor Barraozinho ) of Axe Capoeira Vancouver knocking out Keegan "The Marshall" Marshall at North American Challenge in North Vancouver. Aurelio spends some time setting up the final KO kick chingaso, but when he finally lands it, it's good night! Would this work in a higher level MMA event? Probably not, but it's still fun to watch. Just like the previous video, in this video you can once again hear the sound of the kick landing! Ouch! Take a look at the nice spinning hook kick that lands flush on the face of the other MMA fighter. It probably felt as bad as it sounded. Here's another Mixed Martial Arts fight video showcasing the power of a spinning back. Once it lands, the MMA fight is over! 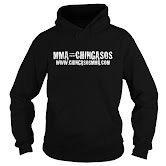 Check it out and if you have the fighters info, feel free to shoot that over. Let's not forget the amazing kick Anthony Pettis landed on Ben Henderson in the WEC. One of the things that made this kick amazing is that it was landed in a high level Mixed Martial Arts event. If you haven't seen this kick, Check out the highlight in this MMA fight video. In one of the most surprising kick KO's, check out how powerful the front kick can be. Here's a video showing the front kick Anderson Silva used to put away Vitor Belfort at UFC 126. The video quality isn't that good, but it's still worth checking out as it showcases the versatility of kicks in MMA. Since we're on the topic of front kicks, check out the kick that Lyoto Machida landed a few UFC events later on Randy Couture at UFC 129. Here's a video made my an MMA fan. While we're on the topic of front kicks, check out another example of how powerful that chingaso can be. Here's a video showing the front kick Anderson Silva used to put away Vitor Belfort at UFC 126. The video quality isn't that good, but it's still worth checking out as it shows the efficacy of kicks in Mixed Martial Arts at the highest level. In one of the most vicious finishes to an MMA fight I've ever seen, Gabriel Gonzaga used a kick to KO Mirko "Cro Crop" Filipovic at UFC 170. Check out the devastating MMA kick in this video! There you go Mixed Martial Arts fans! 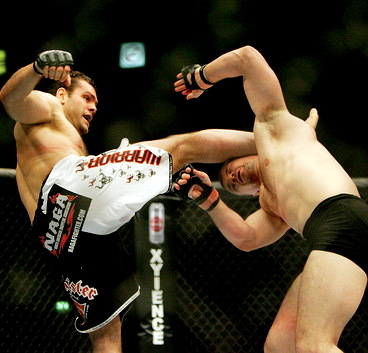 I hope you enjoyed these videos showcasing the exciting and devastating kicks in MMA fights. Feel free to comment and link with other videos where MMA kicks are showcased.